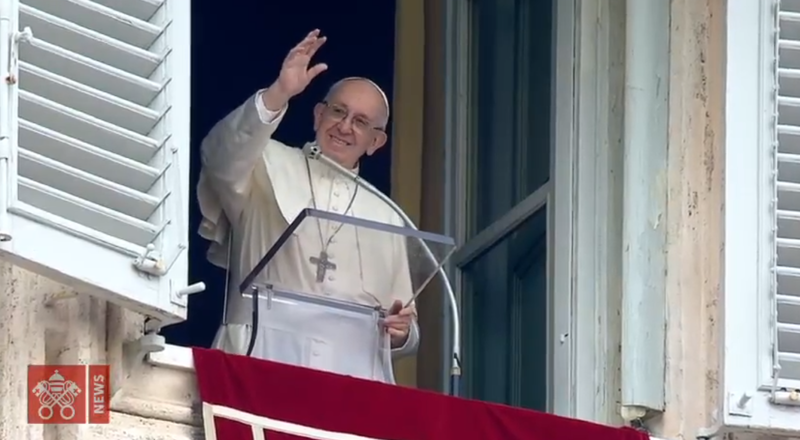 After the Angelus prayer on Sunday, February 18, 2018 in St. Peter’s Square, the Holy Father recalled the pre-synod meeting, which will gather some 300 young people from all over the world in Rome, from March 19-24. “I strongly hope that all young people can be the protagonists of this preparation. That’s why they can partake online thanks to linguistic groups moderated by other young people,” he said. Thus the “contribution” of “web groups” will be added to that of the meeting in Rome,” continued the Pontiff. The Holy Father recommended that young people go to the site of the Synod of Bishops to get information. The Synod’s Secretary General mentioned this way of proceeding during the press conference to present the Pre-Synodal Meeting and initiatives on line on Friday, February 16, 2018. He also pointed out that 220,000 young people have answered the questionnaire on line.